This thread http://slinging.org/forum/YaBB.pl?num=1339632628 got my mind working again and I dug out an old idea and tried it. Apologies for the poor pics, I started in daylight but as it got dark the light wasnt so good. 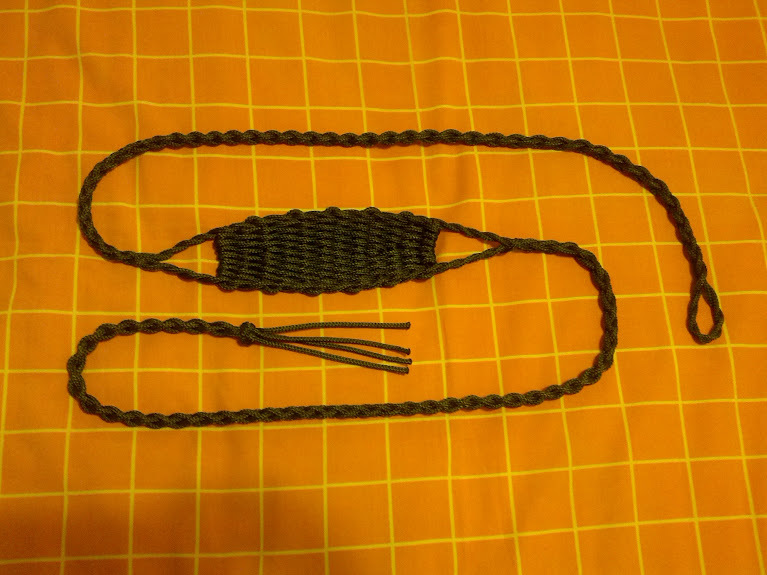 I started with two lengths of paracord, six times longer than the folded length of the sling. 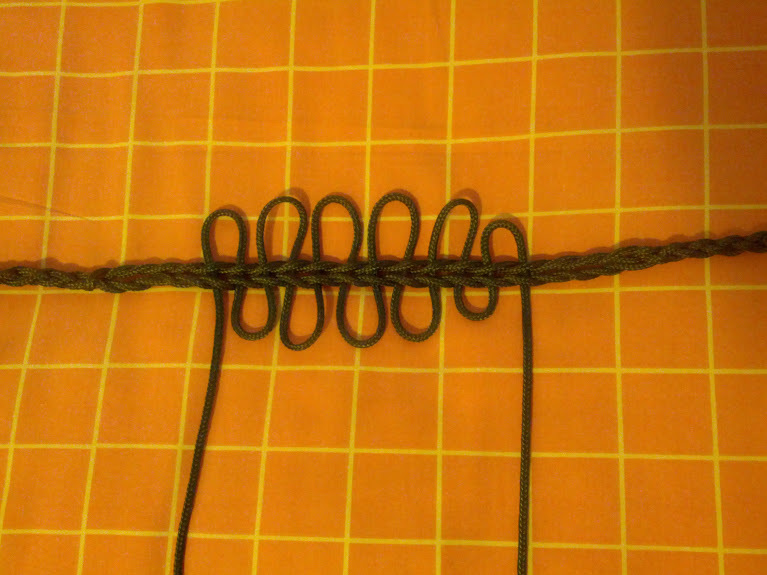 I used a reverse twist for the fingerloop and the pouch sides and a four strand round braid for the cords. 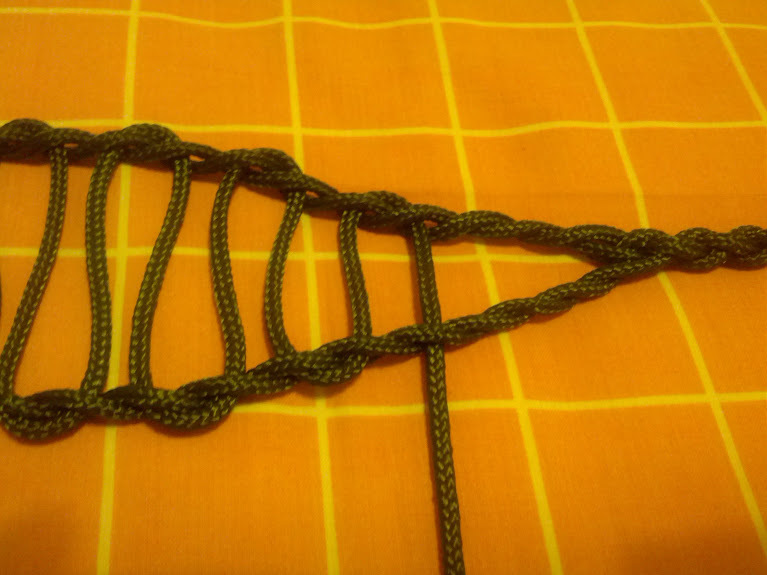 Then I started splicing a third cord, the same length as the other two, between the pouch sides. But I soon ran into a problem, the twist was not even between both sides and having them both twisted in the same direction didnt help. Time for a rethink! 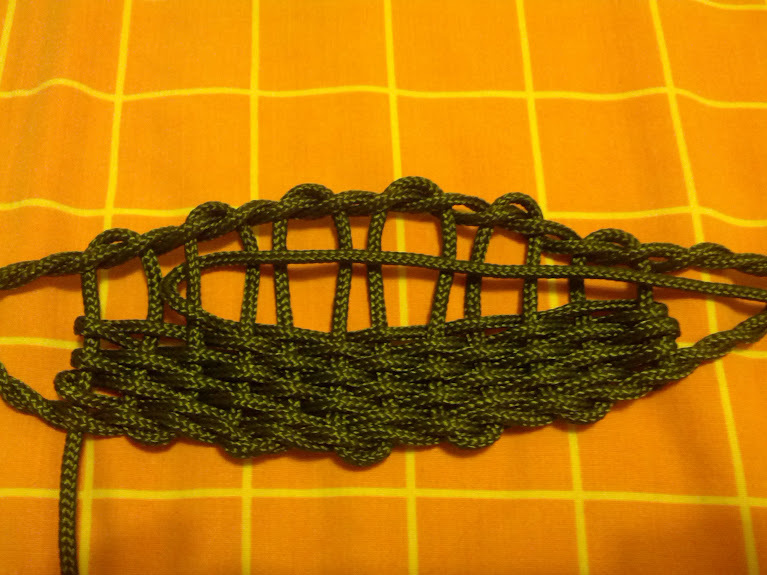 I unbraided the release cord and redid one of the pouch sides. 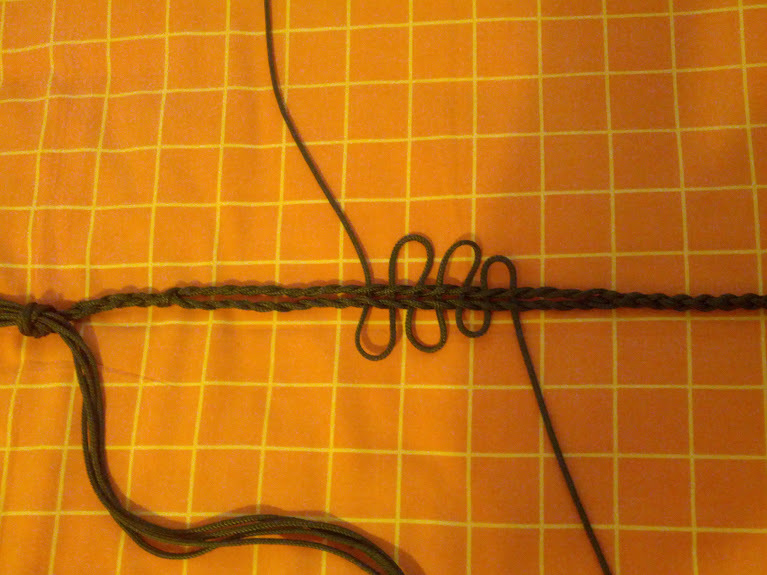 This time I twisted it the opposite direction and made sure it was matching the other cord as I went along. I didnt rebraid the whole release cord in case I needed to make more adjustments. 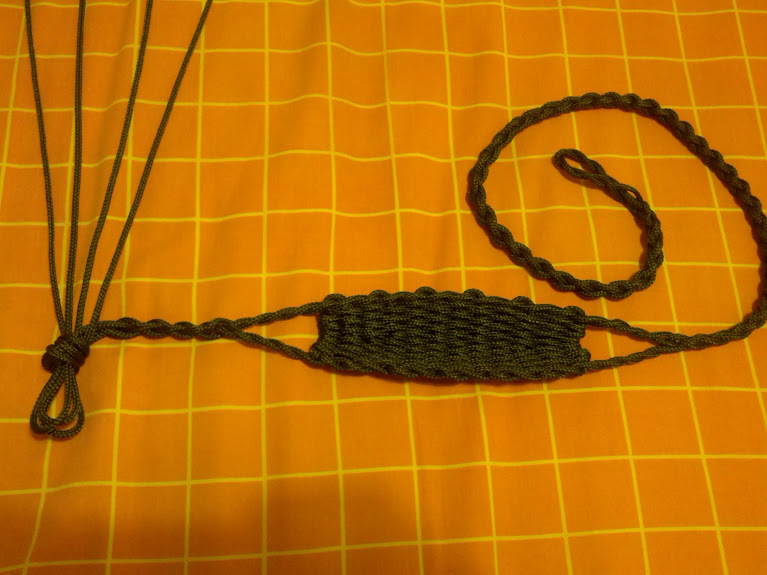 I also kept the sides together and put the warp cord through both at a time. This was really easy, and is the main benefit of this method. The warp is in place. 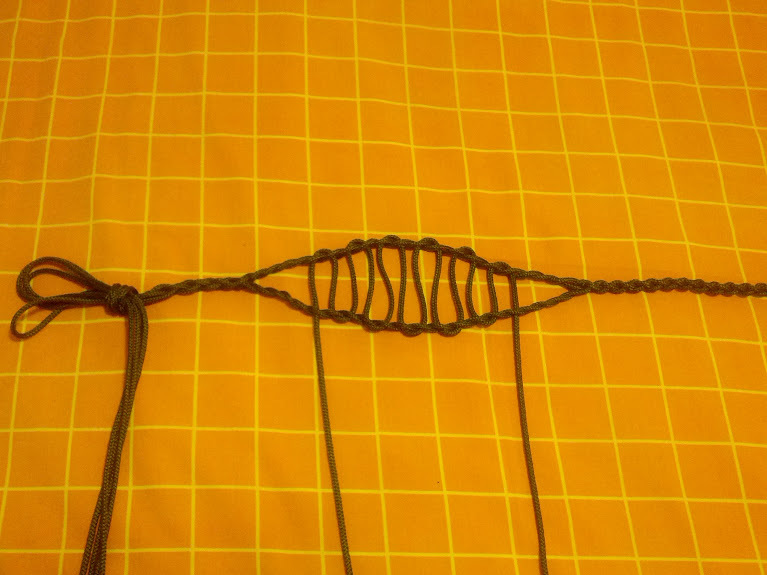 Use the longer end of the cord to start the weaving. After a few passes its starting to look good. 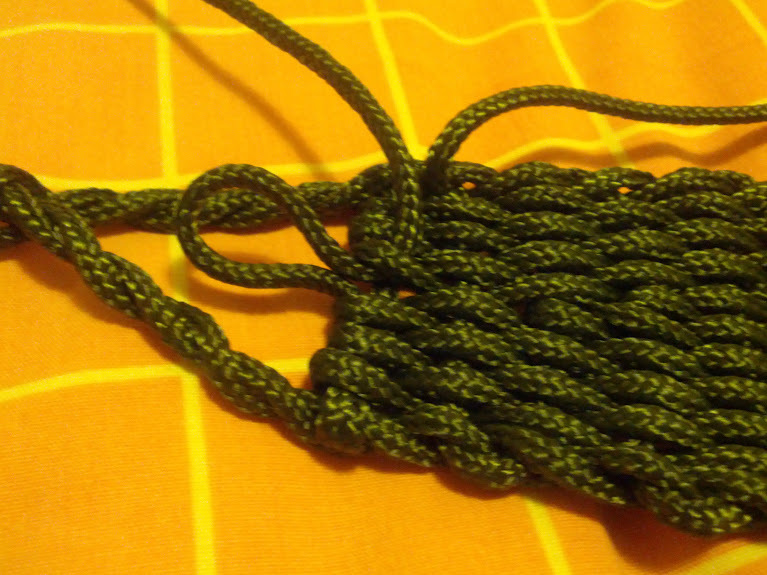 This is a short weave for the centre of the pouch, these make it wider in the middle than at the ends. The weaving is done, now I am working a little slack out of the warp cords. This photo is out of focus, sorry. Here I am working one of the ends alongside one of the warp cords to finish it off. It was trimmed and melted after this. 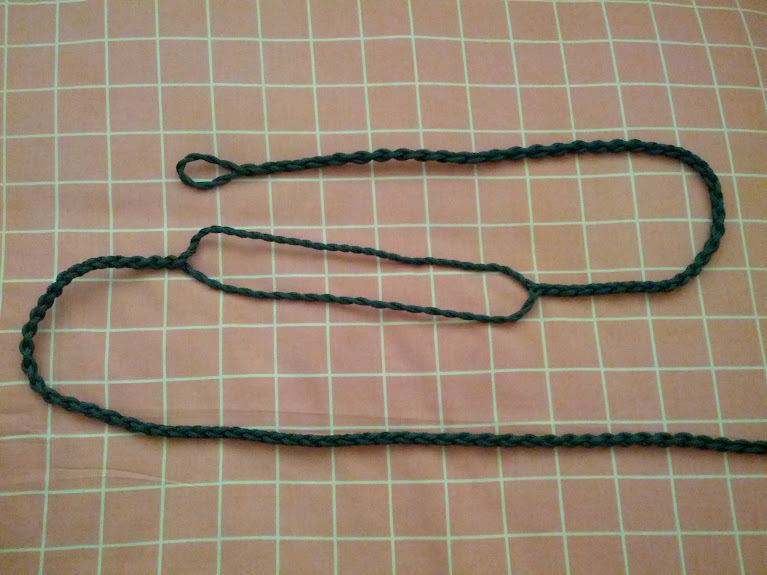 I did this to both ends. Finished! 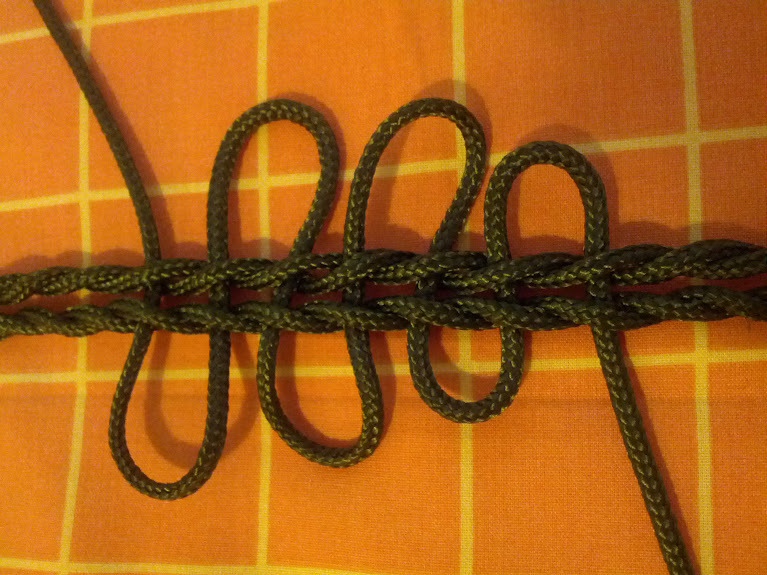 I used a Matthew Walker knot at the release end. Isnt it a handsome thing? It throws really well. 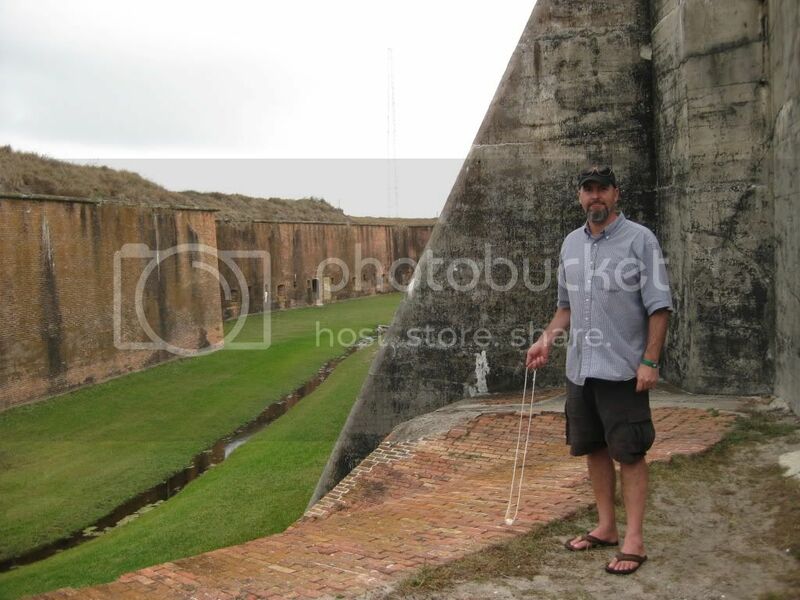 At first I was hitting to the left but this was because the release knot is quite a bit larger than I am used to. Once I started really popping my release open I was slinging straight again. The cords have a lot of bulk but the four strand braid makes them very flexible in all directions. 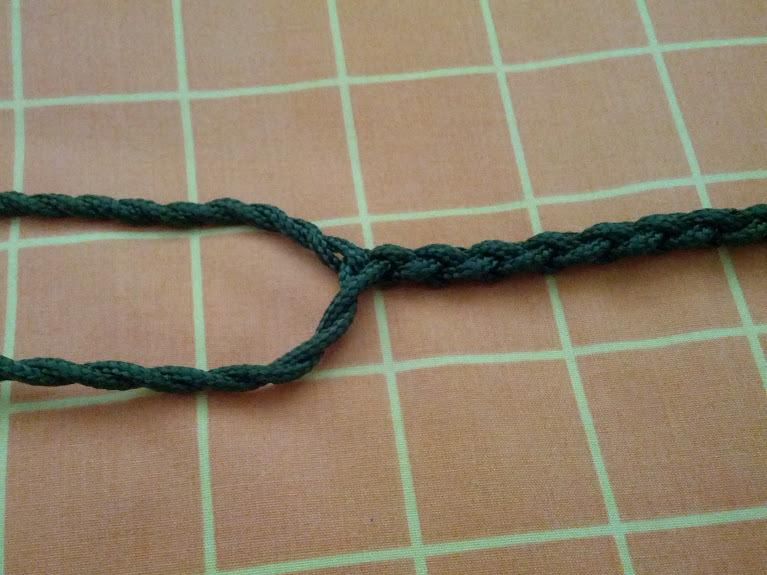 A possible upgrade would be to not twist the fingerloop but to use the two cords as warp for a woven fingerloop instead. This would be very comfortable. Good stuff, DM. Thanks for sharing. Very innovative. Looks good bro. 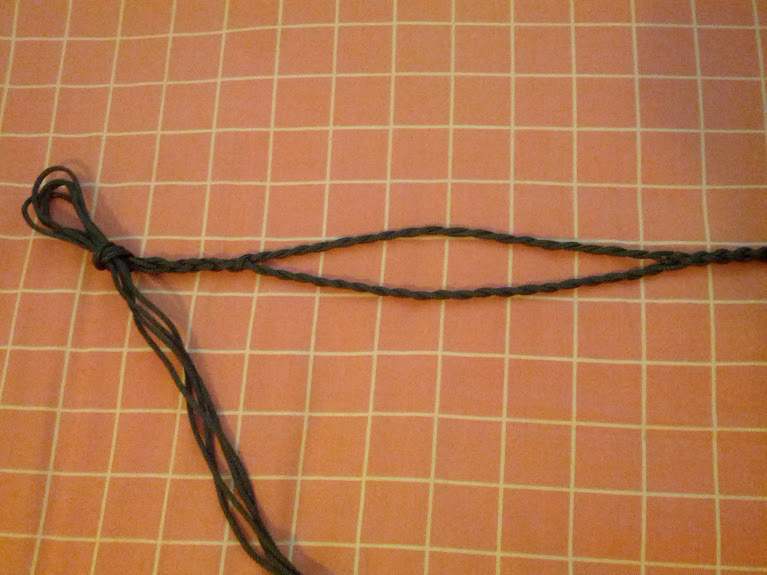 Awesome DM, i just made another one yesterday with one strand as the pouch, instead of entering it in at the split, i braided it in above the split in the retention cord. 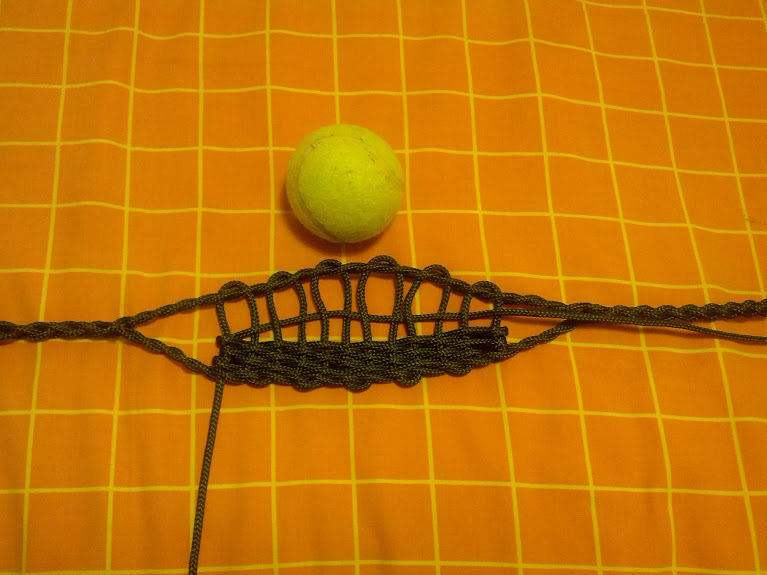 I used one long strand about 5 yards in length, and weaved the entire thing with it. 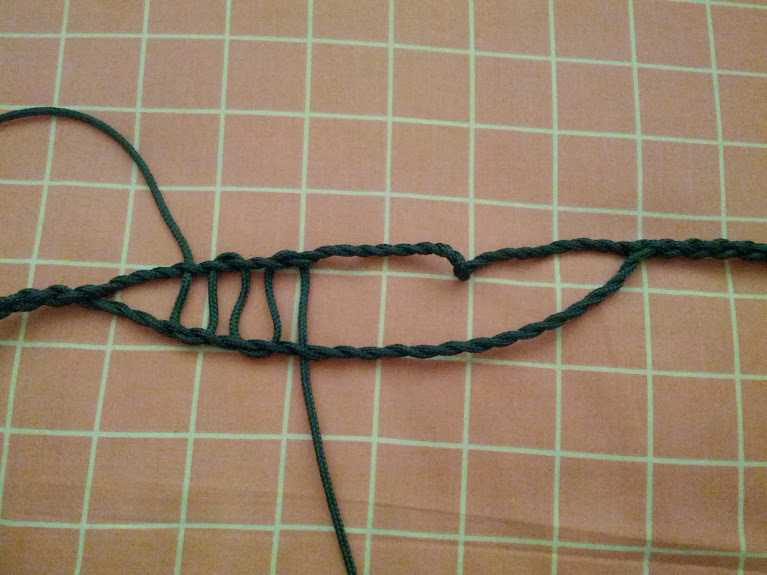 You can tie a simple knot then mask it with a whip knot, i only took one photo of where i started braiding the pouch strand in, i'll post it up later. That's an interesting way to make this style sling. I'll have to try it some time; it looks easier than the method I know. Judges 20:16 "Out of all this people there were seven hundred chosen men left handed. Every one of these was a slinger of stones to a hairbreadth and would not miss." Your tutorial is a keeper, David. Thanks again. Would it be okay if I added the last 'finished' pic into The Guide? 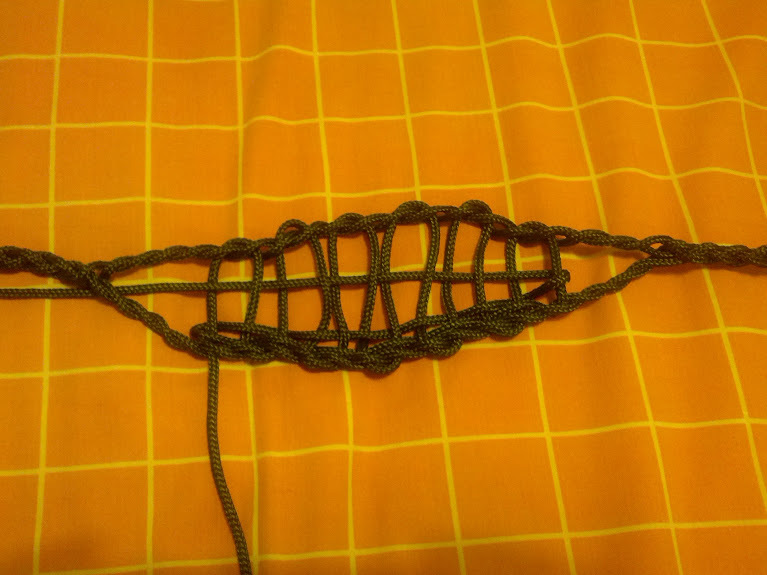 Due to the shorter center weft and subsequent warp tightening, I would be inclined to dub this one "King Tut's Hammock". Of course that doesn't account for your name, David, so that would have to be worked out. A "DMKTH", maybe? I don't care if I'm a geek,&&I'm going to make a sling a week. Sorry. Mexican, too. "King Tut's Mexican Hammock, by David Morningstar", and that's my final offer. If it's still moving, keep slinging ! 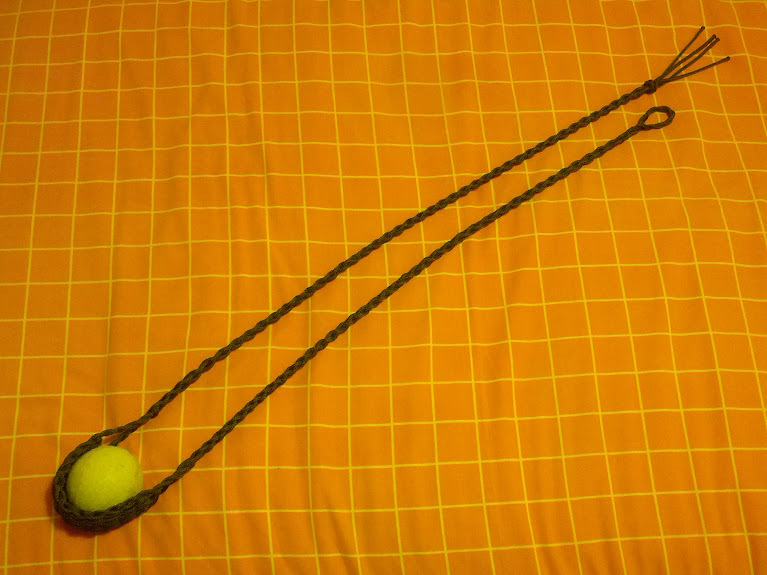 It looks like a "war" sling, a sling for throwing large heavy rocks, a loooonnnng way. I an going to have to break down and make one of these, it looks just right for heaving half brick sized rocks in the river and watching them make big splashes. Did I mention that I am very easily amused? I've given this design a shot, and I'm pretty pleased with the simplicity and geometry so far! 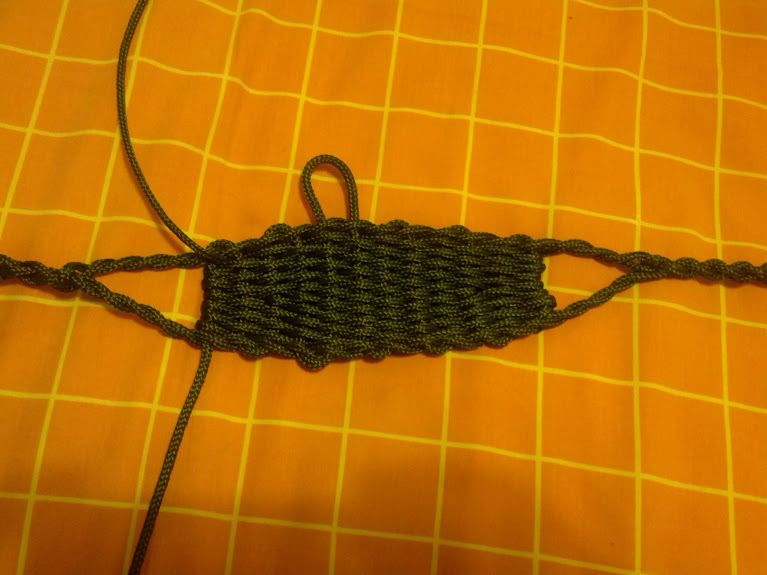 I got a little confused, though, because I think the earlier pictures show two "Z" twists for the edges of the pouch, and the later ones show a "Z" and an "S" twist. 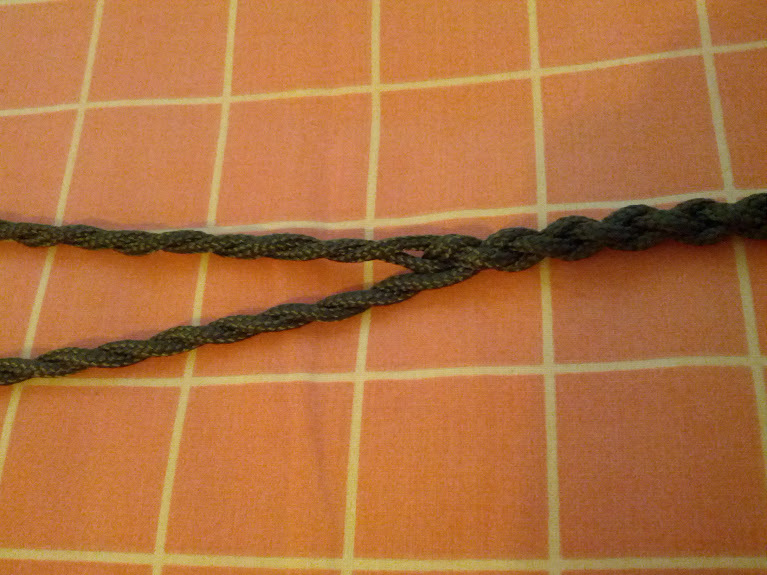 I ended up making two "Z" twists with mine. Is this important, or am I just obsessing over details?